Biofilms are made of renewable raw materials, are compostable and disintegrate after use back into their biological components. In between, they protect and present the goods or keep them fresh. To sell goods, they often have to be transparent, high-gloss or matt and printable. 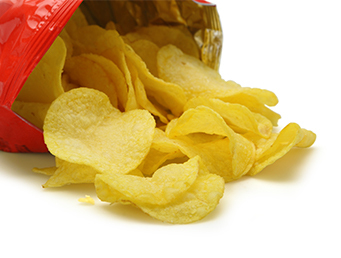 They are – especially relevant to the current discussion about microplastics – the alternative where sustainable film use is required and when products, including the necessary packaging, should be organic: from biscuit to chip bags. Do you need knives for another industry? Part of our range of services is listed below. Please contact us if you want to know more about our know-how in your industrial sector. Biofilms consist of a wide variety of raw materials or combinations of raw materials. They have very specific material properties. Knives need to be matched to these properties to produce cuts, serrated cuts, tabs, tear-off aids, etc. And all that with the reliability and speed that produces organic and economical joy.